Bind carpet edges for lasting beauty. We can make area rugs matching your home rugs from your scraps. Carpet Cove base offers a warm feeling to any area. 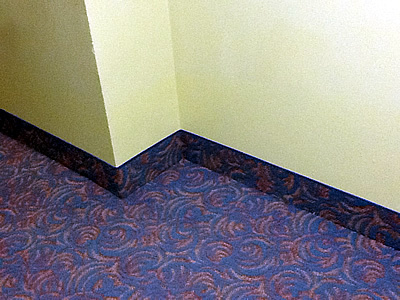 Great alternative to wood / vinyl baseboards. 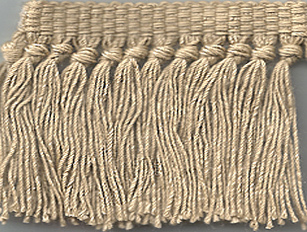 Fringing ends of Carpet Runners and area rugs can enhance their beauty. Cutting service available to meet your needs. Beautify and protect your stair case with bound on all sides of carpet. Contractors click here or call us at 301-773-1334 with your specs before bidding on your carpet installation. 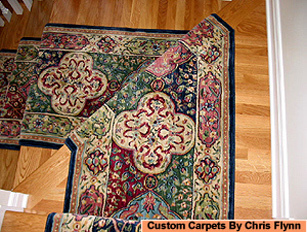 Carpet Binding Services offers free pick-up and delivery in the Baltimore-Washington Metropolitan Area. Carpets are delivered back to your location within 3-7 days of pick-up. Call for a pick-up and delivery schedule. In addition to local Carpet Binding Services, we service customers from Flooring contractors, Carpet Installers and retail stores NATION-WIDE. Sorry, we are not able to pick up or deliver to residential homes or office buildings however, you are welcome to call for an appointment at 301-773-1334 and bring your carpets to us. Create matching Area Rugs and Runners using the leftover or extra carpeting. Area Rugs can be made from any weight of carpet including Orientals. Area rugs can be bound or serged to add a gorgeous finished edging. 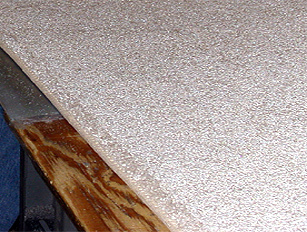 Carpet Binding Services provides a wide range of yarns and bindings in stock to match your carpet. Special yarns and bindings can be ordered upon request. We welcome walk in customers. Carpet Binding Services offers free pick-up and delivery in the Baltimore-Washington Metropolitan Area. Carpets are delivered back to your location within 3-7 days of pick-up. Call for a pick-up and delivery schedule. 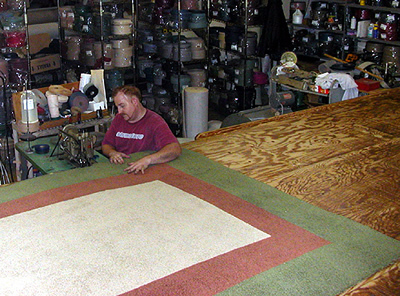 In addition to local Carpet Binding Services, we service customers from Flooring contractors, Carpet Installers and retail stores NATION-WIDE. Sorry, we are not able to pick up or deliver to residential homes or office buildings however, you are welcome to call for an appointment at 301-773-1334 and bring your carpets to us.